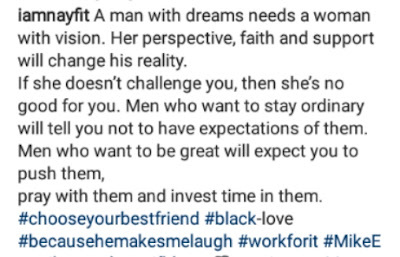 The Nigerian fitness coach, @iamnayfit, who lives in Washington, shared the ri*sque bedroom photos with her heartthrob, Mike (also a fitness coach) on her social media page. 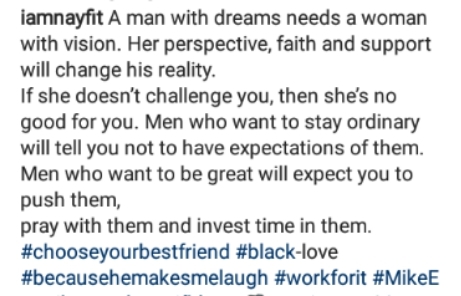 "A man with dreams needs a woman with vision. Her perspective, faith and support will change his reality. pray with them and invest time in them."